Why won't my seeds germinate? There are a number of possible factors which may interfere with germination. Use the following checklist to ensure that conditions are right for successful seed starting. Provide adequate moisture. Seeds need a uniform supply of moisture during germination and seedling development. Excessive amounts may cause damage or damping off. Regulate temperature. Most plants need temperatures of 65-75°F to sprout. Check requirements for individual plants. Check planting depth. Small seeds are frequently covered too deep. Very fine seeds need little or no covering. Air is as essential as heat and moisture for germination. Control harmful insects. Small, tender seedlings are easily destroyed by insects and need to be protected from them. Insecticidal Soap is a safe, gentle product for controlling most insect pests. Guard against damping off. Seedlings grown indoors are subject to damping off. This disease is favored by over watering, too much heat, not enough space, or too little light and is characterized by the rot and collapse of seedlings at ground level. This soil-borne virus is one of the biggest causes of seedling loss. Using a sterile medium and a good fungicide can prevent seedlings from contracting this disease. Check your growing conditions. When seeds sprout, move them to a spot where temperatures are moderate. The most vigorous plants are usually grown at about 60-65 ° F. Use heat mats, in early Spring, where necessary. Plants need 10 to 12 hours of good sunlight each day or they will become spindly. There are a number of factors that affect seed germination. Check the seed packet to determine if all the requirements for temperature and light were met. If the soil was cold and excessively wet, the seeds may have rotted. Dig up one of the seeds and examine it. If it is swollen and soft, the seed has rotted and you'll need to start over. If the soil was too dry, the seeds may not have germinated or may have sprouted and then dried up. Plants grow tall and leggy when there is insufficient light. 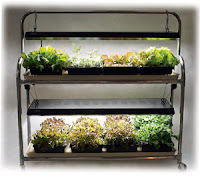 If possible move your seedlings t o a sunnier location or use grow lights. You can also lower the temperature in the room and reduce the fertilizer to slow the plants' growth. Mold is an indication that the soil or growing medium is too wet and won't harm your plants as long as you can improve the growing conditions right away. Withhold water for a few days and try to increase the air circulation around the containers by adding a small fan or opening a door. 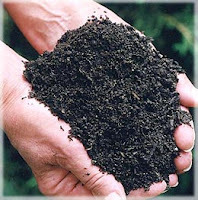 You can also scrape some of the mold off or try transplanting into fresh growing medium.